The Red Sargents Crabapple tree, Malus Sargentii, is a dwarf flowering tree that flowers profusely in early spring with pink to white scented blossoms. Red Sargents forms a specimen patio tree, or one that could be planted in a bed with foundation plants. This dwarf flowering tree is perfect for a wildlife garden, as its dark-red berries are edible. The summer foliage of this deciduous tree is a dark-green color. Sargents Crabapple tree has moderate water requirements and a moderate tolerance to salt and alkaline soils. One of the smallest Crabapples, it is a mounded, wide spreading tree, (wider than high), with disordered branching and frequent cross branching. The leaves are dark green, dense, ovate, and often lobed, up to 3 inches long. In the spring, Sargents Crabapple tree shows off its red buds that develop into white flowers. The fruits are deep-red and approximately the size of a Cherry. 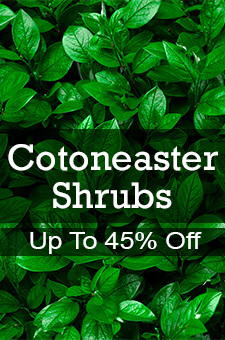 This shrub will be more attractive if fed peat and compost since it likes moist soil. The Red Sargents Crabapple trees are known for their stunning flowers and have small leaves, making it perfect for Bonsai. Sargents Crabapple tree is easy to care for and is quite hardy!